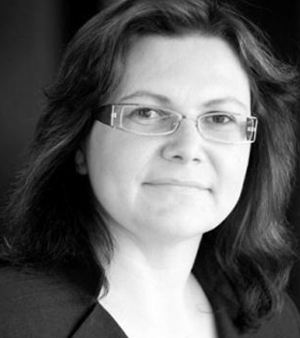 A cross-cultural trainer with expertise in intercultural negotiations and project management, Katarzyna has delivered trainings in Gdansk Foundation for Management Development since 1995 for groups from Poland, Portugal, and Russia. Katarzyna’s MBA thesis on business culture “Cultural differences in international business. Comparing Polish business culture with cultures of selected other trading partners” was advised by a US Professor, Richard Gesteland, and her research was acclaimed exceptional. On top of her extensive education in economics and management, Katarzyna studied also Journalism, Pedagogics, and Christian Philosophy. Her interest in cultural diversity came to life during her study in UK at the European Business Management School. At work, Katarzyna is always on the search of companies and activities around the international environment. In her professional career, Katarzyna worked as an Import & Logistics Manager in a company importing coffee from South America, as a Business Processes & Quality Manager, and as Chief Human Resources Officer in an international production company. She was responsible for designing and implementing a process management system and a Balanced Scorecard. She authored an Organization and Management Strategy as well as Human Resources Strategy in an international corporation. Katarzyna worked also as a Procurement and Logistics Director in a furniture production site. Where she built effective relationships with international suppliers in Europe, Asia, and Central America. Currently, Katarzyna works in Gaz-System S.A. as Strategy and Project Support Manager. Every day, she has the opportunity to apply her knowledge and experience in managing international projects. Within the system of Terminal Construction project coordination, Katarzyna cooperates with representatives of international construction consortia involved into building the Gazoport, as well with many international companies, institutions, and organizations from the LNG market. She also was theDirector of the Strategy Office and Project Support in PGE Mining and Power Industry in her previous company. Katarzyna represents the company in international meetings and conferences (as a panelist or a moderator). She is a member of Gas LNG Europe. Travelling and getting to know other cultures are Katarzyna’s great passion. Katarzyna speaks fluent English and Spanish, and also communicates in Italian and Russian. She spends every holiday on an interesting international trip. She visited more than 50 countries and has international friends on six continents.